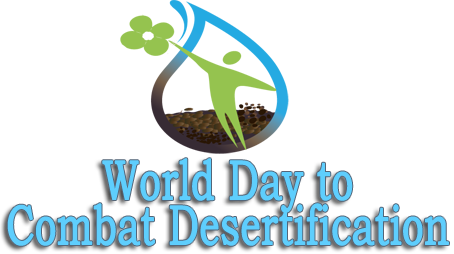 The World Day to Combat Desertification (WDCD) is observed to promote public awareness relating to international cooperation to combat desertification and the effects of drought, worldwide on 17 June every year since 1995 . Its purpose is to highlight ways to prevent desertification and recover from drought. Each annual celebration has a different theme. In 1994, the UN General Assembly declared (General Assembly Resolution A/RES/49/115) June 17 the “World Day to Combat Desertification and Drought” to promote public awareness of the issue, and the implementation of the United Nations Convention to Combat Desertification in those countries experiencing serious drought and/or desertification, particularly in Africa. Ever since, country Parties to the Convention, organizations of the United Nations System, international and non-governmental organizations and other interested stakeholders have celebrated this particular day with a series of outreach activities worldwide. The World Day to Combat Desertification is a unique occasion to remind everybody that desertification can be effectively tackled, that solutions are possible, and that key tools to this aim lay in strengthened community participation and co-operation at all levels. Country Parties and civil society organizations are invited to organize events to celebrate the World Day to Combat Desertification as an additional opportunity to increase awareness raising and participation in the process. United Nations Convention to Combat Desertification (UNCCD) aims to sensitize the public to the fact that desertification, land degradation and drought dramatically affect the biodiversity resident in the soil. There is a close relationship between livelihood and ecosystem wellbeing, and soils that are rich in biodiversity. Healthy soils produce life, and yet soil health depends a lot on how individuals use their land. What we do to our soils determines the quality and quantity of the food we eat and how our ecosystems serve us. Our increasing ecological interdependence also means enhancing soils anywhere enhances life everywhere.